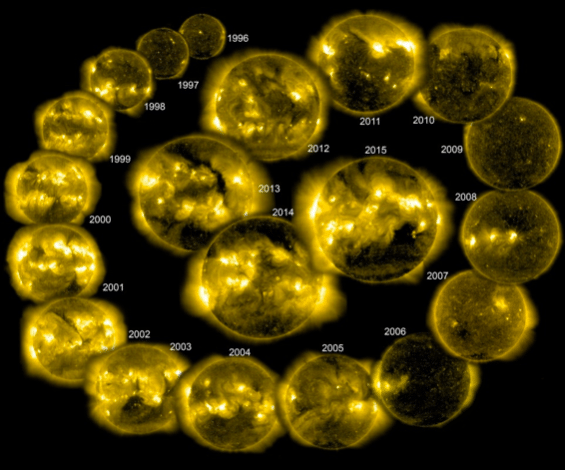 The number of solar spots and eruptive phenomena connected to them show cyclical variations with a mean period of 11 years. The strength of these solar cycles, however, varies considerably. We know about periods in the past, called Grand Minima, when no sunspots were observable for decades. This was also the case during the Maunder Minimum in the second half of the 17th century, which thought to be associated with the “Little Ice Age.” On the other hand, we observed a period of very strong cycles, known as Modern Maximum at the end of the last century. The currently-ongoing Cycle 24 is breaking this series with an amplitude much lower than the typical values during Modern Maximum. Forecasting these long-term, cycle-to-cycle variations is the Holy Grail of solar dynamo theory, the discipline studying the origin of solar activity. In recent years, our understanding of the driving mechanisms of the solar dynamo has developed significantly, however, sadly, the new results also pointed out the limits of predicting the properties of the upcoming solar cycle. A team of researchers at the Eötvös Loránd University, Budapest, Hungary and the University of Montreal, Quebec, Canada, using a state-of-the-art dynamo model designed to simulate very solar-like cycles, reported extreme effects of single large active regions disobeying the overall statistics of the sunspot cycle. The model confirms, that certain large sunspots, emerging at the wrong place at the wrong time may change the entire further evolution of the solar cycle, an observational result found earlier by researchers at the Max Planck Institute for Solar System Research. The new study, however, shows that such ‘rogue’ active regions can have even more extreme effects than previously found. A single event like this may even induce a grand minimum like the Maunder Minimum. Due to the fact that the model developed by the Montreal group and used in the study mimics the statistical behavior of the real solar cycle quite accurately, its output can be analyzed in detail and it is appropriate to carry out numerical experiments in order to test, for example, the impact of such “rogue” active regions on the solar cycle. 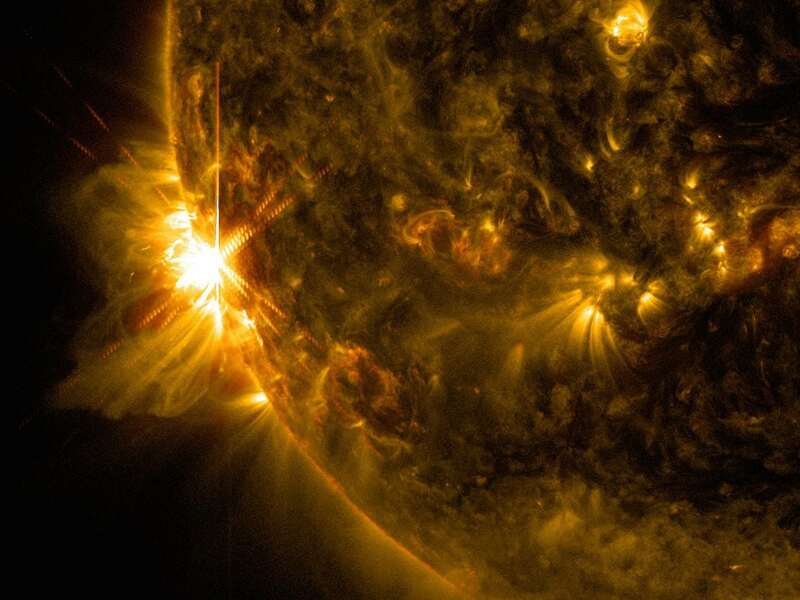 The team found that rogue active regions are capable of suppressing the solar activity entirely, driving the system to a state of grand minima. The explanation to this is that the enormous magnetic flux content of these active regions is transported to the solar poles, reducing the overall dipole field of the entire Sun and, as a result, the dynamo will have no seed field to amplify in the upcoming solar cycle. The result indicates that long-term prediction of solar variability may be limited by the haphazard nature of these peculiar events. Events such as the onset of a grand minimum or an unusually strong “freak” solar cycle, such as the one that peaked in 1957, may prove to be impossible to predict more than a few years ahead – much to the chagrin of solar and space researchers. In the fall of 2017, a giant sunspot group with a really complex magnetic configuration produced the strongest flare activity of the ongoing solar cycle. Although detailed modeling and analysis would be required, based on the apparent characteristics of this active region, it could be considered as a “rogue” one. If so, it might have a significant effect on the temporal evolution of the following solar cycle. These findings are described in the article entitled The Effect of “Rogue” Active Regions on the Solar Cycle, recently published in the journal Solar Physics. This work was conducted by Melinda Nagy and Kristóf Petrovay from Eötvös University, and Alexandre Lemerle, François Labonville, and Paul Charbonneau from the Université de Montréal. Melinda is a research scientist at Eötvös Loránd University, Department of Astronomy.